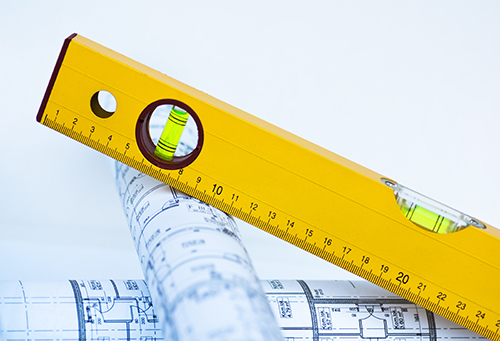 Depending upon the scale and type of work involved, there are different options available for making Building Regulations applications. This requires the submission of a completed Full Plans Application Form, full construction drawings, details and specification of the intended scheme prior to work commencing on site. A detailed assessment of the submitted drawings will be carried out by a Building Control Surveyor. If your plans comply with the building regulations you will receive a notice stating that they have been approved. If Building Control is not satisfied you may be asked to make amendments or provide more details. Alternatively, a conditional approval may be issued. This will either specify modifications which must be made to the plans; or will specify further plans which must be deposited with your authority. You are then safe in the knowledge that providing you and your builder constructs strictly in accordance with those plans, and any conditions on the approval, the regulations will be satisfied. Minor variations in construction can be agreed as work progresses, major changes may require amended details to be submitted (variations may need to be dealt with separately and differently under other legislation e.g. planning permission). A completion certiﬁcate is issued at satisfactory completion of the project. This can be submitted electronically on the following websites or by using the form below. A Building Notice Application does not require the submission of plans. The authority may however require details to be submitted during the construction process, if, without them they are unable to ensure compliance with the Regulations eg structural calculations. There can be a high risk factor with this type of application and it would be perhaps more suitable for simpler projects. Generally window repairs such as replacing broken glass, fogged double-glazing, rotten sashes and rotten sections of the frame can be done without seeking building regulation approval. Fully replacing windows would usually require building regulation approval, but most work can be carried out using a FENSA registered installer. They will carry out the work to the correct standards and provide you with all the relevant certificates on completion. If you propose to do the works yourself or if your installer is not registered, then you or he must make an Application for Replacement Windows. A Regularisation Certificate application can be submitted for works carried out at a domestic property that date back to November 1985 only. Receipt of a Regularisation application, and payment a site visit will need to be carried out to inspect the unauthorised works The Building Control Surveyor will inform the owner what, if any works that would require uncovering for further inspection or, any further works that would also have to be carried out in order to comply with the building regulations. Please note that this department will not be able to give an estimated time for the application being completed due to the possibility of ongoing site visits or items of a structural nature being checked. The Building Control Charges are intended to cover the cost of the Building Control services provided by the Cannock and Stafford Building Control. There are two methods of establishing the charge for Building Regulation applications. These are either individually determined or taken from the Standard Charges. If the charge for your Building Regulation work is not included within the standard charges please contact the office for a quote. In addition to this if you are carrying out multiple types of work at the same time or highly repetitive work we may be able to reduce the standard charges. There is a difference in the overall cost dependent upon whether a Full Plans Submission or the Building Notice Procedure. If you make a Building Notice application, the total charge includes the fee for all inspections, however few or many. If you make a Full Plans application the plan charge fee is required on application and the remainder becomes payable after the Building Control Surveyor has made the first inspection. We will invoice you for the fee shortly after you start work. The amount you pay was determined when you made the application based on the Charge Scheme criteria for the nature of the work involved. This part of the total fee covers all inspections, however few or many. In accordance with the above regulations Cannock Chase District Council has made a replacement scheme of charges in relation to the building regulations function. This came into effect on 1 January 2014. Standard charges now only apply to domestic work and a single new dwelling. The full charging scheme can be inspected on request at the Civic Centre, Riverside, Stafford, ST16 3AQ, between the hours of 9am and 5pm, Monday to Friday.